GoDaddy had a lot to be proud of. In just a few years, it had reinvented its brand —gone were the racy commercials that had turned women away. In fact, the company has become an industry leader for hiring women in tech roles — by 2015, more than a third (39%) of all engineering interns and new graduate hires were women. 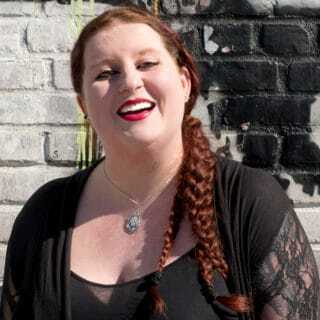 But internally, GoDaddy realized that they still had a work to do for women at the company—unconscious bias still played a big part in talent acquisition, evaluations, promotions, and compensation. 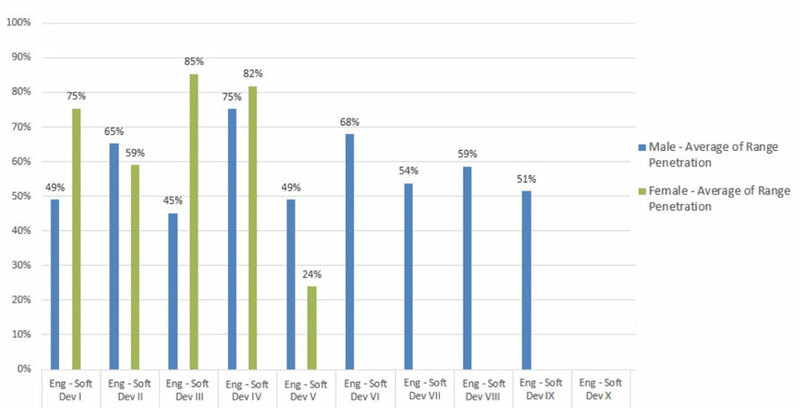 Few female engineers advanced to leadership roles—and when they did, it was much slower than their male peers. Because of this, they realized they need to make some changes. Speaking at a recent conference, GoDaddy’s VP of Engagement & Inclusion Katee Van Horn shared a series of internal process changes the company made to decrease bias at every stage of employment and give everyone an equal opportunity. 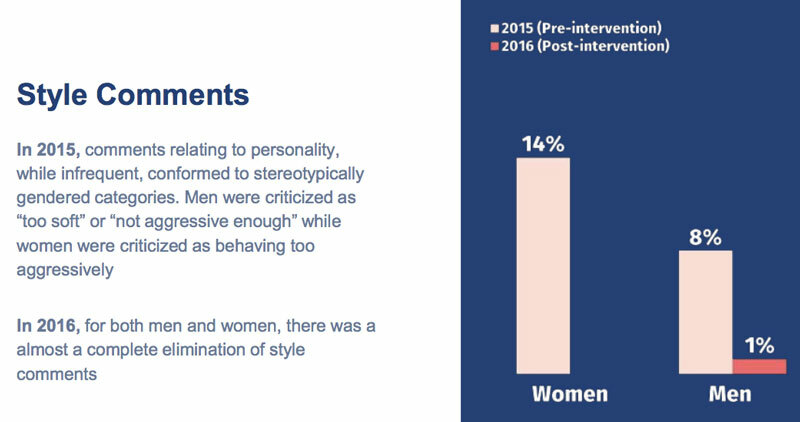 The Clayman Institute found an interesting nuance: women were being measured according to their style, whereas men were being judged more on skill. And according to their more subjective scale, women weren’t measuring up. “Your stomach hurts, because you’re like, ‘Would you be saying the same thing if she were a man?’” said Katee. What’s more, after applying this double standard, managers weren’t giving women the feedback they needed to work on their so-called flaws. GoDaddy wanted to do everything it could to eliminate the bias—and to do it consistently. 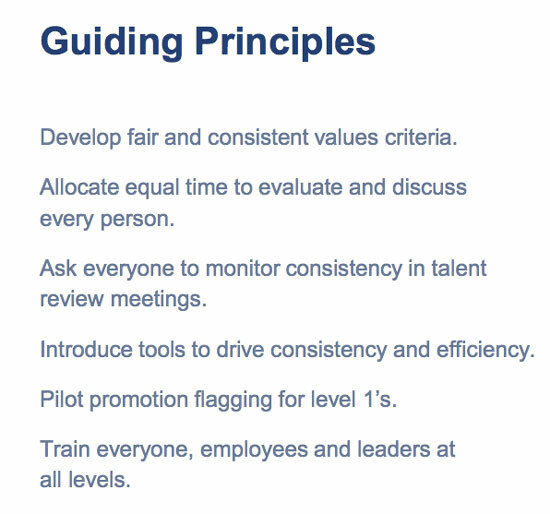 During evaluations, GoDaddy now empowers every employee to monitor for fairness. 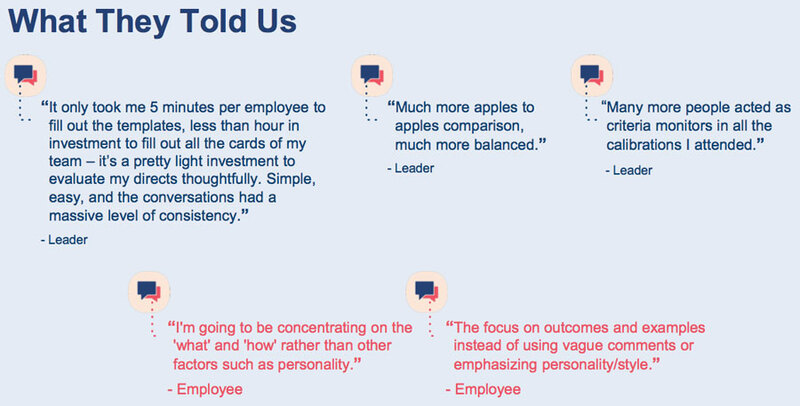 All team members are tasked with questioning bias—and pointing it out in every instance. 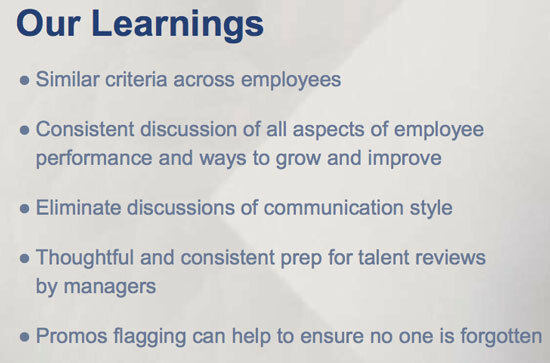 The company has also increased training at all levels, including for leaders. Their typical approach had been to measure performance versus potential. But they realized there was a problem with this. Moving away from the vague concept of potential, the team now wants to know things like whether a candidate takes smart risks, strives to be better, and shares what they know with others. 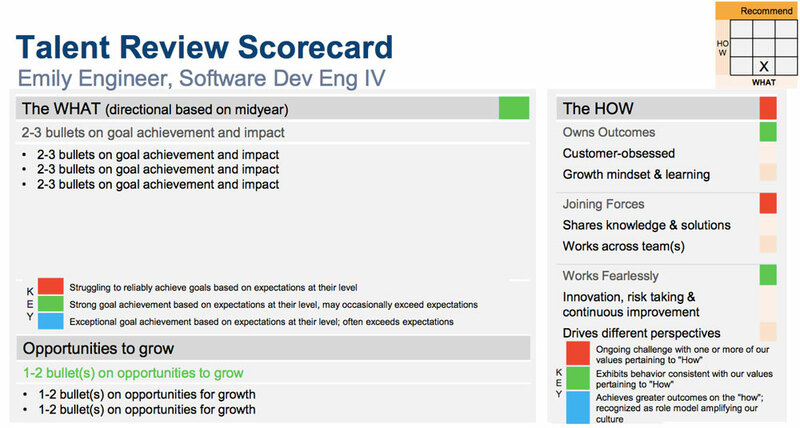 To ensure the core values are being tested for, the team built an evaluation scorecard, with questions designed specifically to measure goals and effectiveness, objectively. 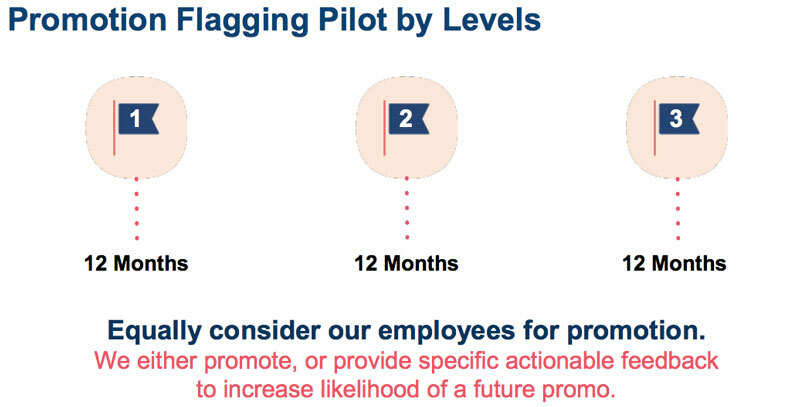 Each employee is now allotted equal evaluation time—using timers to keep things in line. In parting, Katee had these words of advice for other organizations. “Make sure you have your executive team on board. I think I can speak for most of you when I say that here in the Valley, most of your executives will understand why you want to have this conversation,” she said. Katee also recommended working with partners: both outside vendors (like the Clayman Institute) and internal change champions. “It’s scary, but it’s a great way to look at the data,” she said. She advised focusing on one aspect of the organization, rather than everything. “Don’t boil the ocean,” she said, adding that talent acquisition experts might be focused on diverse hiring, but reducing bias within the culture engages that same talent to stay put, once they’re in. She also recommended patience. “Start where [leaders] are. You’ll have these conversations over and over again…. [Some] folks just don’t know. That’s okay,” she said. You can listen to the full recordings of Katee’s speech here.